Below is a collection of checks from the personal accounts of Marilyn Monroe. Of significance, what may be the last check Marilyn ever signed, dated August 4, 1962. Eunice Murray was Marilyn’s housekeeper, and she was the last person to see Marilyn alive. Murray attempted to cash this check after Marilyn’s death, and the bank returned the check with the attached note, indicating the account holder was “Deceased.” This check was ultimately honored after the estate was settled, though it was many years later. University of California Los Angeles: Completed fully in Marilyn’s own hand, a bank check dated October 25, 1951 made payable to The Regents of the University of California for an art appreciation class she took at UCLA. Michael Chekhov: Completed fully in Marilyn’s own hand, a bank check dated November 1, 1954 made payable to her acting coach, Michael Chekhov. Mikhail Aleksandrovich Chekhov, born August 29, 1891 in Moscow – dies September 30, 1955 in Beverly Hills. Chekhov was an Academy Award-nominated Russian-American actor, director, author, and developer of his own acting technique used by actors such as Clint Eastwood, Marilyn Monroe, Yul Brynner, and Robert Stack. He is widely regarded to be one of the greatest actors of the 20th century, with Stanislavsky himself constantly referring to Chekhov as his most brilliant student. Much of what Chekhov explored was the question of how to access the unconscious creative self through indirect non-analytical means. Chekhov also taught a range of movement dynamics such as molding, floating, flying, and radiating which actors could use to find a physical core of a character. His techniques, though seemingly external, were meant to lead the actor to a rich internal life. In spite of his brilliance as an actor and his first hand experience in the development of the Moscow Art Theatre’s groundbreaking work, Chekhov as a teacher was overshadowed by his American counterparts in the 1940s and 1950s and their branching interpretations of Stanislavski’s work. Chekhov’s description of his acting technique, On the Technique of Acting, was published in 1942; an abridged version appeared under the title, To the Actor. 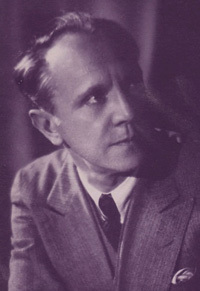 The English translation of his autobiography The Path of the Actor was edited by Andrei Kirillov and Bella Merlin, and was published by Routledge in 2005, marking the 50th anniversary of his death on September 30, 1955. A blank check from the personal checkbook of Marilyn Monroe.